Stetson - Hurry this wont last long! 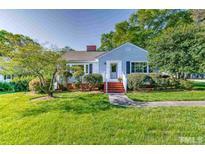 7 min to downtown Fuquay. MLS#2247984. 987. Sandy Springs - New Roof in 2018, new H2O Heater under 3 years old, exterior powerwashed, gutters cleaned, shutters painted. MLS#2247878. 1127. Tramwood - Two loads of gravel in the driveway. Don't miss this one! MLS#2247913. 1320. Sunset Bluffs - Presale Corolla MLS#2247693. 4392. Sunset Bluffs - Presale Corolla MLS#2247701. 4392. Springfield North - Spacious bedrooms and Master Suite with walk in closet and access to walk up finished attic for additional storage. Fenced backyard. MLS#2244479. 3300. Private & tranquil setting w/ raised brick patio for entertaining family & friends. MLS#2247512. 4140. Enjoy Relaxing On Your Outdoor Patio Overlooking Private Fenced Backyard. Pool Community! Great Location! 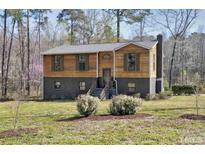 MLS#2235392. 3206. Belvedere Terrace - Great fenced-in backyard with brick patio, raised garden beds, a greenhouse and pool! MLS#2247492. 4883. Upstairs are the loft, three bedrooms, and sizable owner's suite with walk-in closet. MLS#2247221. 1572. Easy access to HWY 55 & I-540, puts you only minutes to shopping, dining, schools, & recreation! MLS#2247254. 1127. Upstairs are the loft, three bedrooms, and sizable owner's suite with walk-in closet. MLS#2247233. 1572. Lakestone Village - Large 3rd floor Bonus. Fenced Yard,Deck, & Screen Porch. MLS#2247333. 2503. The owner's suite with walk-in closet looks onto private wooded backyard. MLS#2247245. 1572. Sandy Springs - Convenient to schools, shopping, restaurants. Ready to move in. MLS#2247408. 1409. Sunset Forest - This Fuquay Varina one-story home offers a fireplace, breakfast bar, master bathroom, screen-enclosed covered deck, and one-car garage. MLS#2247249. 4823. Sunset Bluffs - Hurry and you can make the Selections! MLS#2247124. 4392. The Ridge At Kenneth Creek - Only 5 minutes from main street in Fuquay Varina but still Wake County. MLS#2247034. 2983. Sunset Bluffs - Home entered at framing before selections have been completed, price may change. Hurry and make design selections. 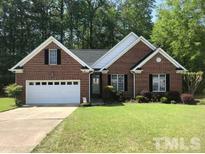 MLS#2246778. 4392. Next to green space for privacy. MLS#2246744. 2731. Schedule your showing before it is gone! MLS#2246906. 1798. 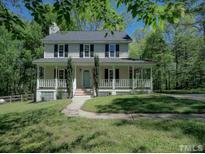 Saddle Run - Equestrian neighborhood with boarding available. Community Pool and Playground too! MLS#2246936. 1127. The Ridge At Kenneth Creek - Several parks are nearby including an environmental park, a recreation park, and one with a splash pad. MLS#2246940. 1618. Patio & Fenced Backyard! Easy to Show! 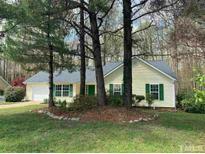 MLS#2246793. 1710.